Bikes: - CX races are for CX bikes (note: max 35mm tyres & drop handle bars), Opens are for any bike (inc CX bikes). CX Grades require CX bikes - Mountain bikes or Monster Cross bikes can race Opens. 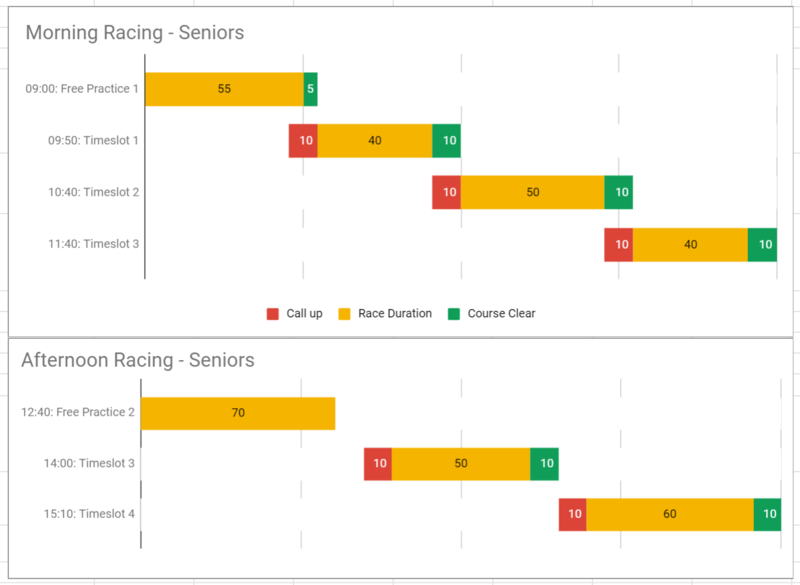 Series Races - minimum ages? - Open category races are not part of the VIC CX Series points aggregate and are regarded as 'club racing' categories. 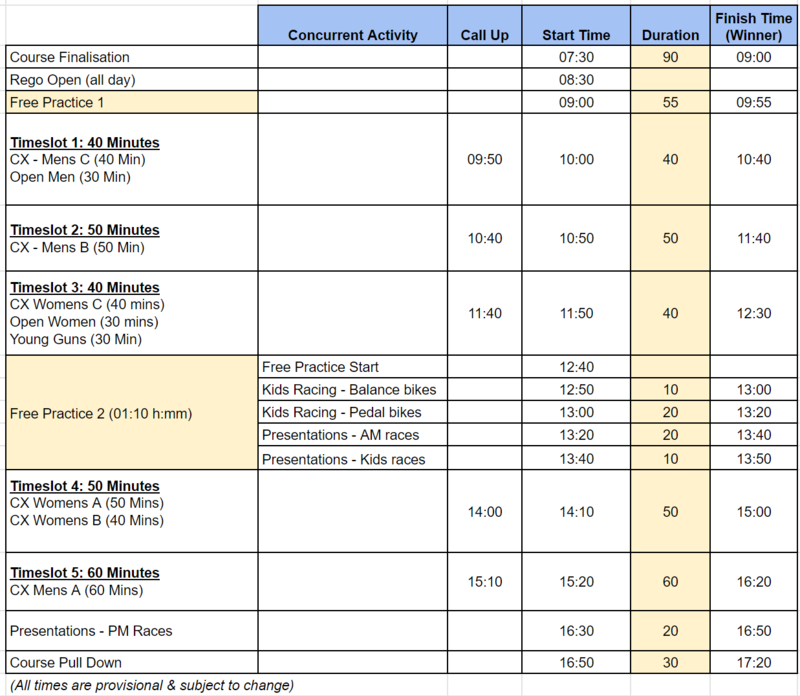 The minimum age for Series races is riders born 2004 (please check CV Series rules for DOB/effective date requirements). Older juniors (say U15), with suitable experience, looking to race the full course for a full race duration can enter Opens. Young Guns will be for a reduced number of laps and can be chaperoned (see Tech Guide more info). 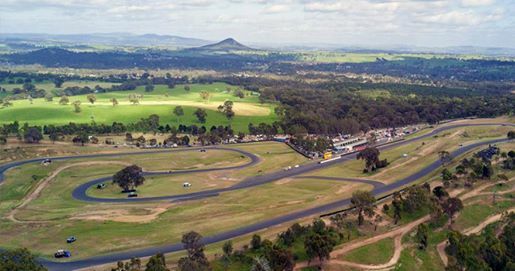 Young Guns: - $10 + $5 Track Levy (will be transponder timed). Please pre-enter. Track Levy - Broadford is a premiere venue. The track levy directly contributes to the cost of hiring the venue. All senior grades are pre-enter only. VICXS is a race series, and series placings are determined by a points aggregate across the series. Please note that riders that need to change grades during the series, can only take half their points with them upon grade changes. Please take this into consideration when selecting your grade. On-The-Day Entries: - A very limited number of on-the-day entries may be available. Please note no guarantee of entry. Please pre-enter where ever possible. Young Guns is a special category allowing older kids with suitable experience to ride the full course (as a guide, say 12yo+ but depends on child). Young Guns can be chaperoned by a parent or other capable rider. Anyone entering Young Guns needs to talk to the Race Director on race day to assess your child's suitability. Spots are limited. Please allow time to have the required conversations. The course is tough and we want kids riding Young Guns to have a positive experience. Feedback on Young Guns has been fantastic but we recognise this category is not for everyone. Young Guns need to be Race Licensed (not Recreational Licenses sorry). Young Guns will be timed like senior riders so they can compare times. Young Guns is more a participation category and allow younger riders to experience the full course. Older juniors (say U15) wanting to race the full course for full duration should enter Opens. Please note that CX is very physically demanding so please ensure your child has enough experience to know what they are in for and are likely to come away with a positive experience. Head north from Melbourne up the Hume Hwy. Take the Broadford exit, and turn right to cross the Hume. The entrance to Broadford State Motorcycle Complex is approx 1.5km from the freeway exit on the right. Toilets: Onsite toilets & showers are available.